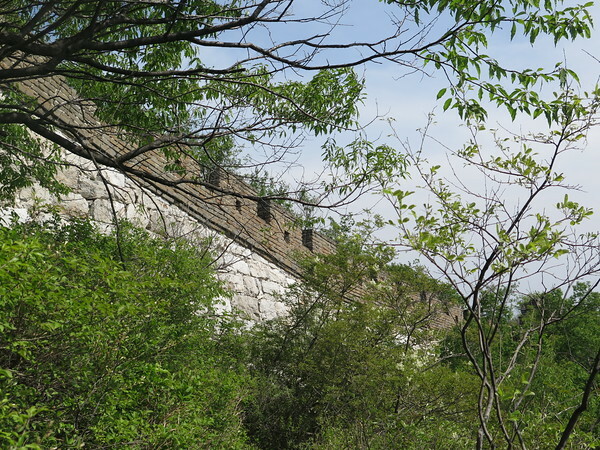 The 18 km Jiankou to Mutianyu Great wall trekking offers an in-depth exploration of the Wild Jiankou with a finish on the restored Mutianyu Great Wall. 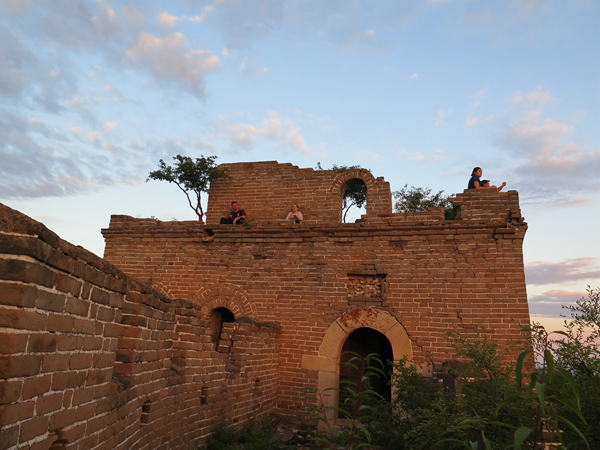 The first day we hike the Eastern section of wild Jiankou Great Wall and stay overnight at a local farmhouse. 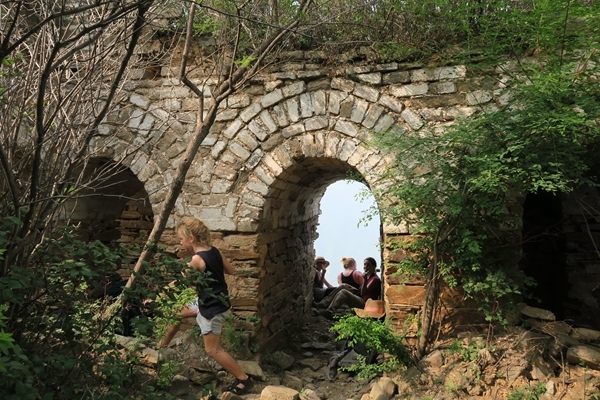 On day 2 we pick up our trek on the Jiankou from the famous Zhengbeilou Watchtower and hike East all the way to Mutianyu Great Wall. 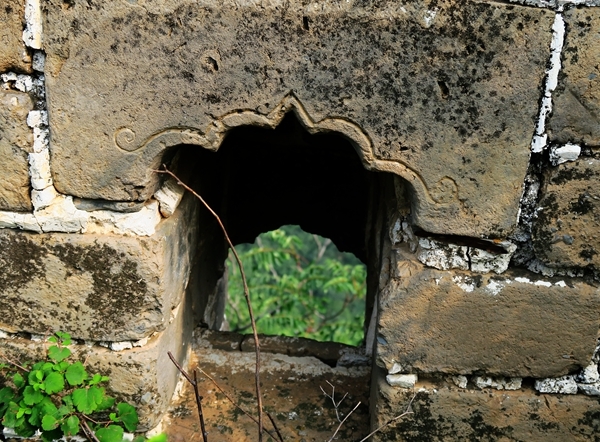 At the highest point of our hike we reach a Great Wall intersection and follow the wall towards middle Jiankou. This part of the hike is all down hill till the end of the hike. You’ll need a little balance here once in while but it’s all safe. 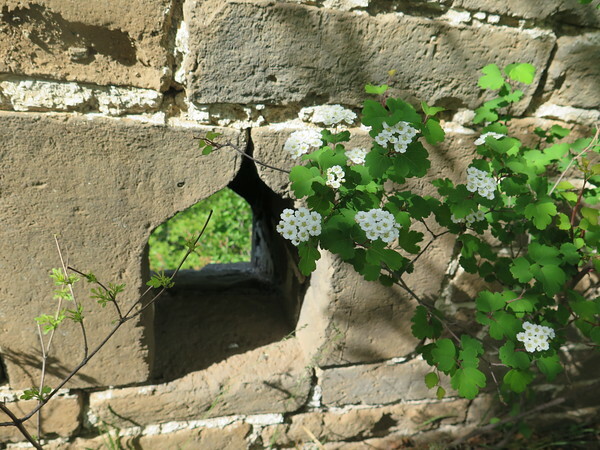 At the wall’s lowest point we follow a small trail that curls trough the forest and ends up right at our guesthouse in Zhuanghu village. Day 2 East Jiankou to Mutianyu Great Wall trekking. Today we get up early and enjoy a good local breakfast before we step into our van for a short drive to the Eastern part of the Jiankou Great Wall. 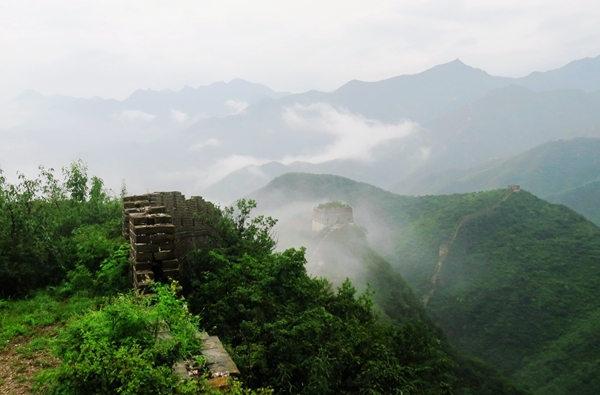 Jiankou to Mutianyu is a breathtaking 10 km trek that combines wild and restored Great Wall. 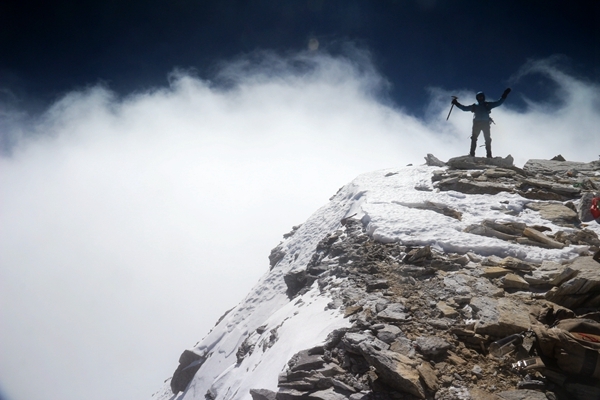 You have to be in good physical condition but you will be rewarded with fantastic scenery. 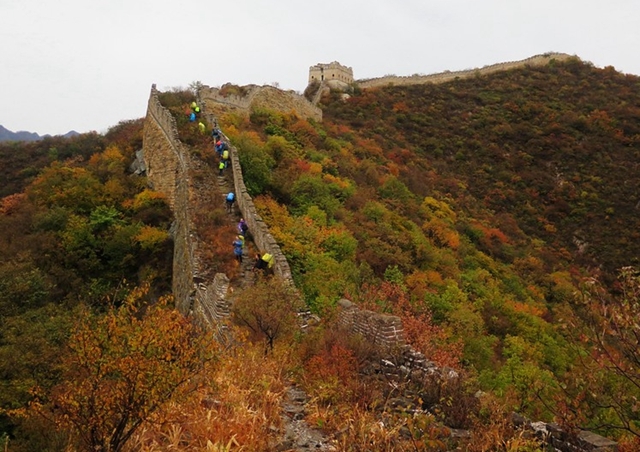 West to East Jiankou to Mutianyu Great Wall trekking. View from the Zhengbeilou watch tower. 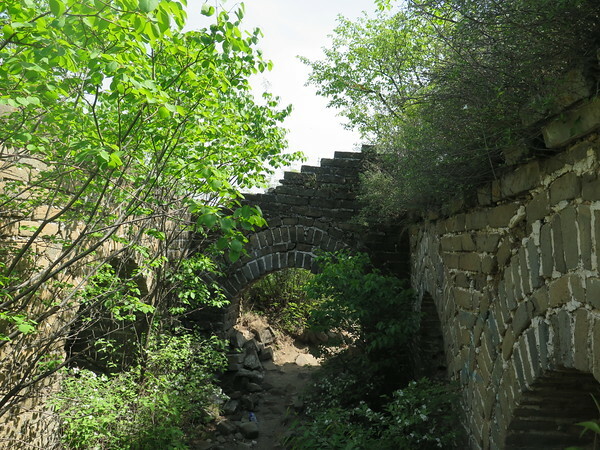 From a Chestnut orchard we start walking on a dirt trail that leads to the Jiankou East Great Wall. It is a descend 500 meter ascend that will take us about 1 hour. You will agree that it was worth the effort when you finally climb the ladder to the Zhengbeilou Watchtower(991m) where some of the most spectacular pictures have been shot. 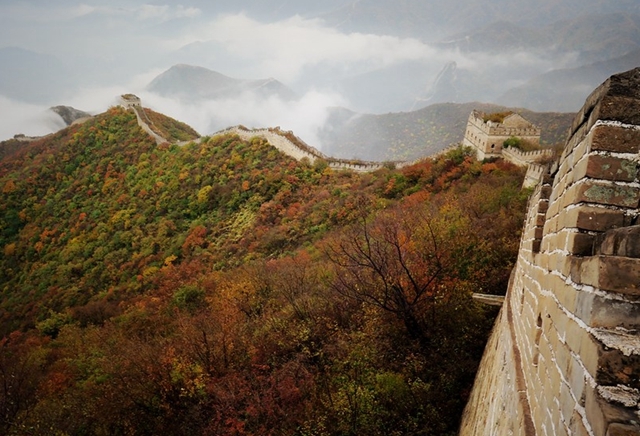 We walk east on the wall to the highest point of Jiankou (1029 meters) allowing you to see the entire Mutianyu Great Wall plus much of Jiankou as well. 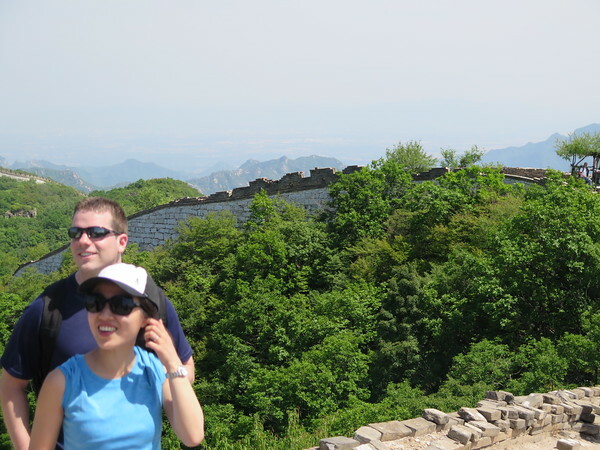 Its a very enjoyable walk on top of a well preserved Great Wall where we pass the famous “bull’s horn section”. After a good hour hiking on top of the Jiankou Great Wall a tree full with prayer flags announces the start of the Mutianyu Great Wall. 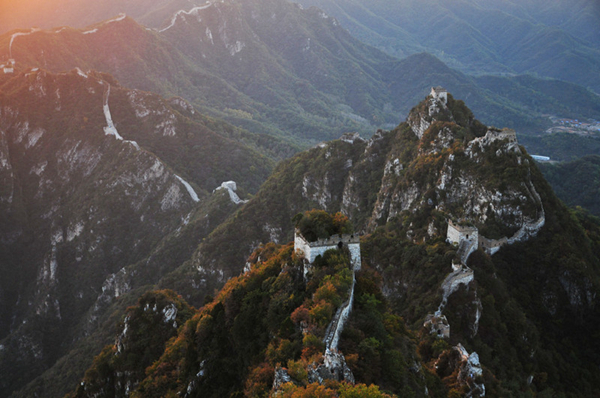 Here the Great Wall is restored. 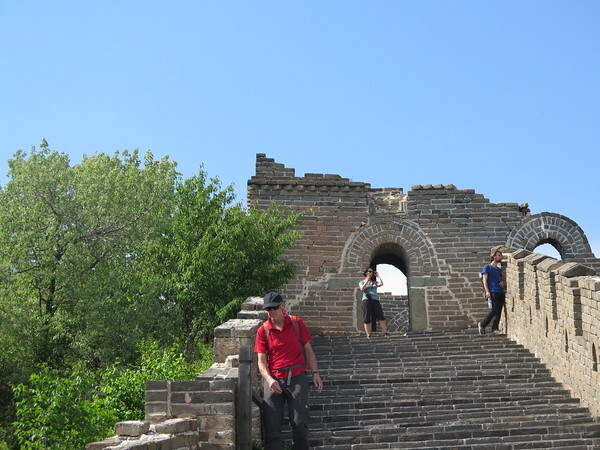 A short hike on the Mutianyu Great Wall leads us past 4 guard towers before we take start our 1 hour downhill hike trough the valley. 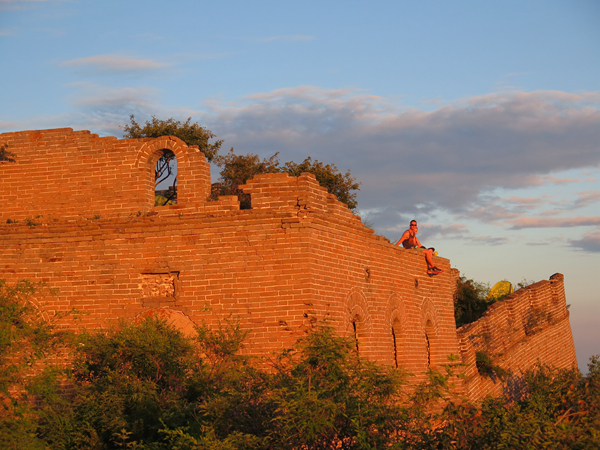 The trail ends at a picturesque village where celebrate the Jiankou to Mutianyu Great Wall trekking with a good lunch and a few beers. 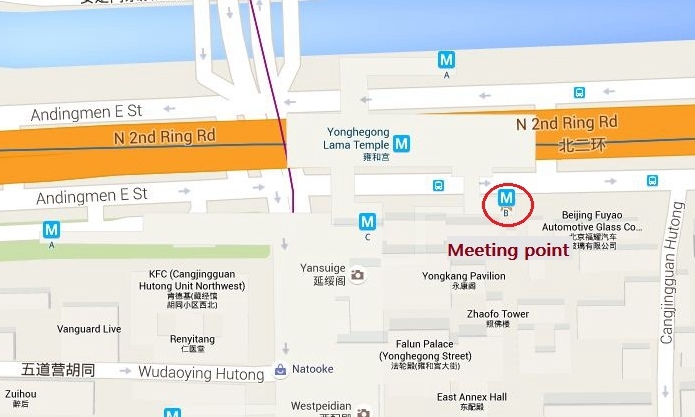 By 4pm we should be back at our meeting point in Beijing. 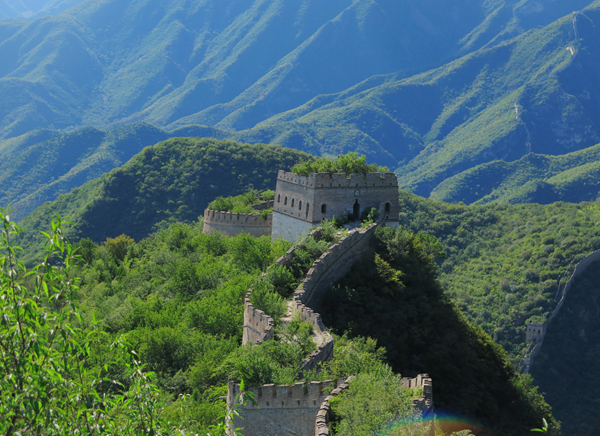 We rate the West to East Jiankou to Mutianyu Great Wall trekking Level 3 because both days include a steep climb to reach the Great Wall. Good Hiking shoes are recommended as we will hike some crumbled sections of the Great Wall. 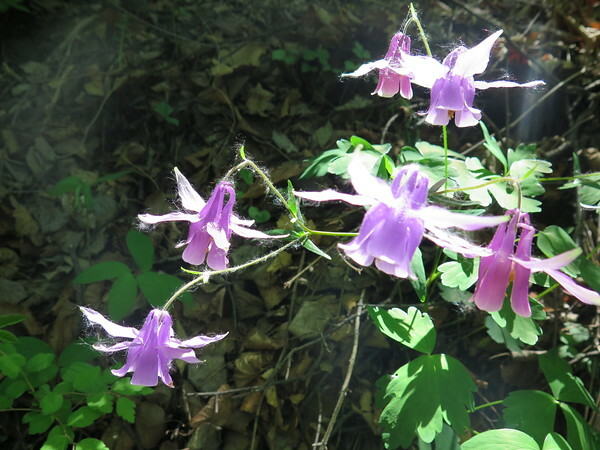 We always hike at a relax pace so if you have an average to good physical condition you will enjoy this trip. 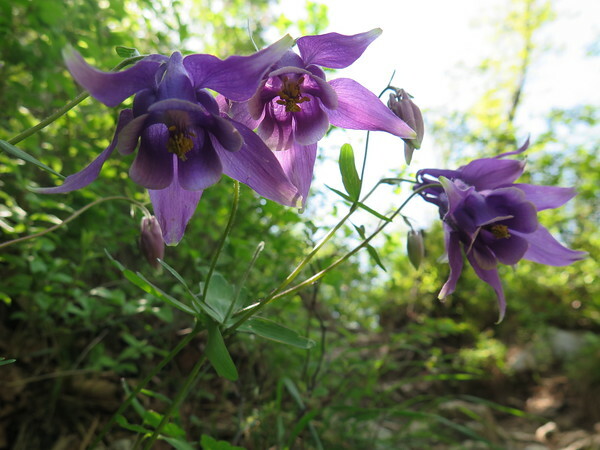 There is little shade during start of the first day’s hike so don’t forget to bring sun lotion and a hat during summer. Had a fantastic time with China hiking. Great guides with brilliant knowledge of the wall take you away from the crowds at the restored sections to the unrestored sections that we had all to ourselves. Totally recommend this as your view of viewing the Great Wall of China. We (small group of 4) had a 2 day hiking trip! it was absolutely amazing! Had a great, funny and English speaking guide (John) and the most funny driver who only spoke Chinese but just had a funny vibe :)... Had our own little party at the family house where we overnight... But the absolute high was the viewes at the towers! just lovely! 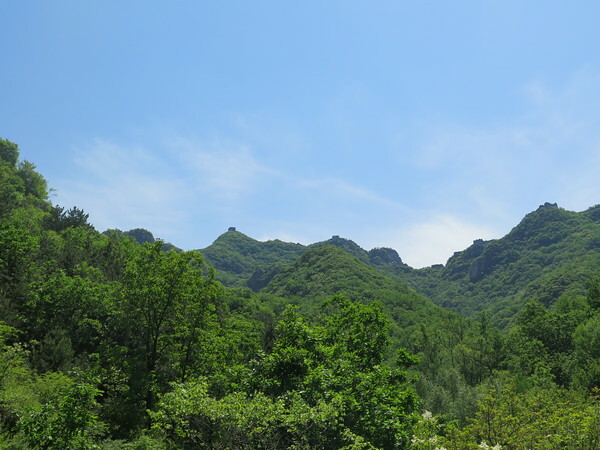 I joined a group of 4 on a 2 day hike which included West Jiankou to East Jianklu to Mutianyu. We left Beijing at 9.30 and arrived at lunch about 11.30. The food was delicious and the range of dishes was great, especially as I have been travelling on my own. John the guide explained the history of the Great Wall and answered all other questions we had. He was informative, funny, thoughtful but not intrusive. We then spent about 4 hours on the amazing wall - everyone must see this human feat of engineering and design - and only saw 3 other people. We were gobsmacked. The peach blossom was also just out which looked beautiful. We then walked back down to the valley and stayed a a guesthouse in the village. Clean, good facilities and terrific dinner and breakfast. Then a 1.5 hour drive to our next destination and a challenging climb back up to the wall. Again, totally amazing. We say a few more people on Day 2 but not many more. We couldn't believe how incredibly beautiful and untouristy the walk was. We ate yet another delicious lunch with dishes handpicked by John before heading back to Beijiing. We arrived about 6pm. Great organisation by Fred and Heidi and huge thanks to our guide, John, and our driver. It was a perfect way for me to end my two week stay in China. Nous cherchions à approcher la Grande Muraille dans son état originel, en dehors des sites aménagés et des groupes de touristes trop nombreux. 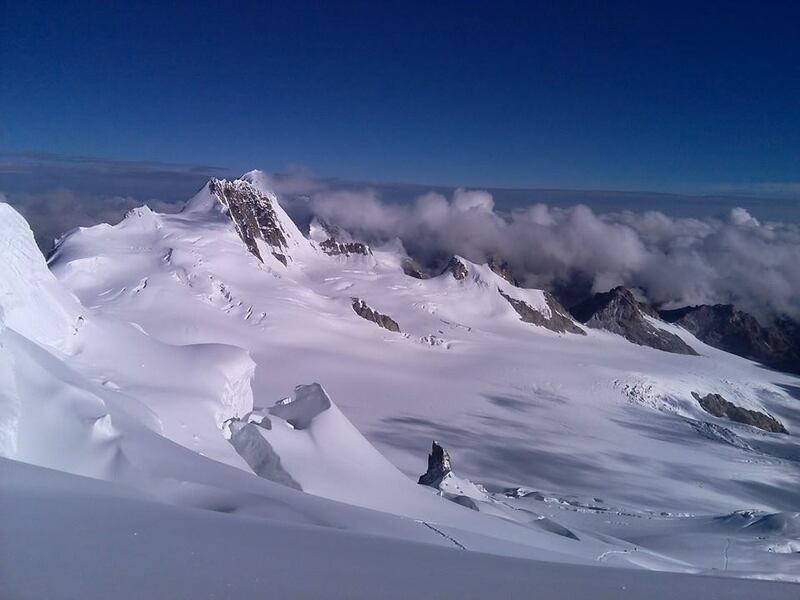 Partage avec la dizaine de participants pluri-nationaux d'un délicieux repas dans une authentique petite pension familiale, marche d'approche et parcours sur un tronçon non restauré, bien diversifié (rampes, tours, parties très endommagées,...), dans un paysage à couper le souffle, avec en prime un temps clair et ensoleillé ! A refaire et à conseiller sans hésitations ! 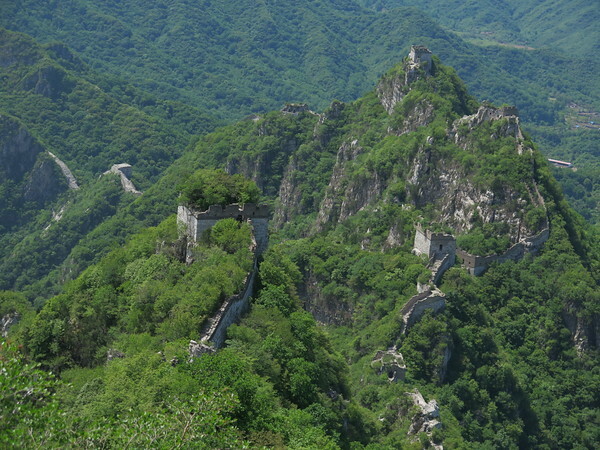 Fantastic two days on the very rugged section of the Jiankou Great Wall. 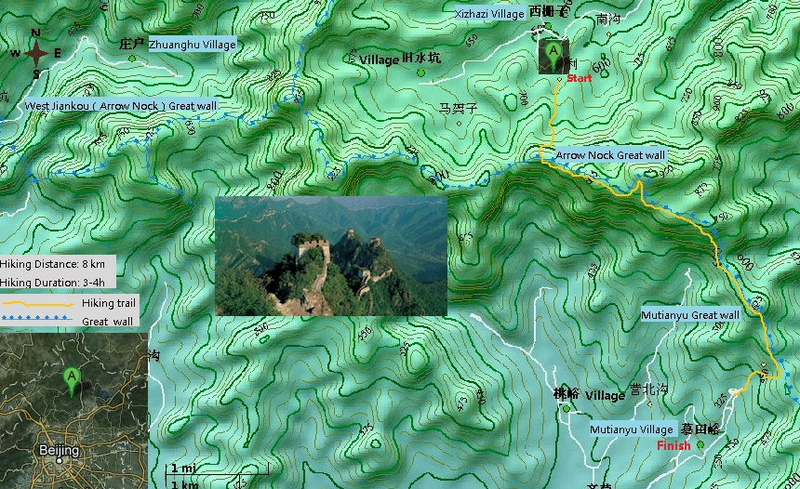 Everything was arranged perfectly by ChinaHiking - registration, transportation, guides, home stay and food. John was our guide and he was VERY good in setting the pace of the hike to match the ability of the group as well as telling details about this area of the wall during the hike. 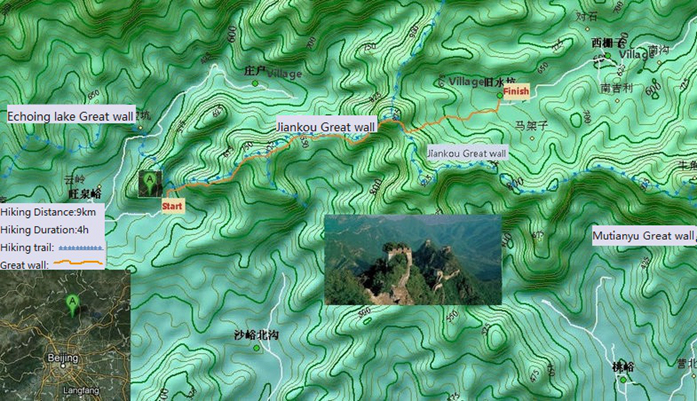 I have been on several hikes with ChinaHiking and they do a very good job - would highly recommend them. The weather and pollution level in Beijing both were near perfect for my first exposure to the Wild Wall West Jiankou and East Jiankou sections. Guides John and Jamie lead a small group of 9 hikers from the City pickup point to the villages and of course up and down from the Great Wall. This section won't disappoint the folks that want to have a good workout and enjoy some of the most amazing scenery that I have seen after visiting 4 other sections of the GW. Great time from beginning to end. Overnight stay in the village was a great place to eat, drink, relax, get a shower and a place to lay down. 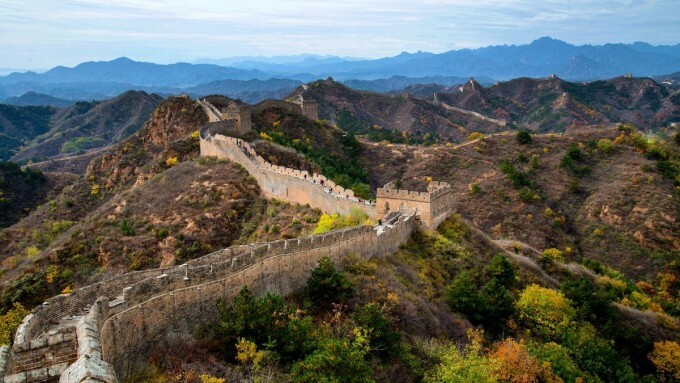 Highly recommend this 2-day hiking trip to discover the history of the Great Wall of China. The hikes were very much accessible to our 3 children (11, 9, 8 yo) and our guide was very good at explaining the history behind each section to both children and adults. We slept in a very clean farmhouse where the food was so good and so fresh. We'll keep amazing memories of this trip. Thanks so much for a wonderful day of hiking - it was an incredible trip and now ranks as our favorite of many hikes on the wall. 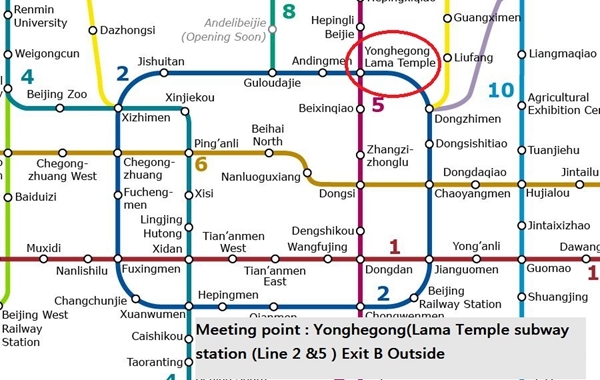 Everything seemed to work out great with all the arrangements from meeting at the Lama Temple to the drop off. The weather worked out perfect for the two days as well as good visibility. The stay at the farm house was far better than expected - much better than sleeping on the hard rocks (although we like doing that too). 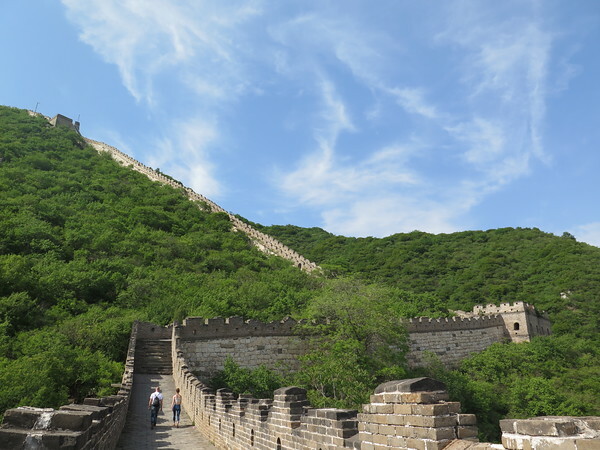 Hiking the Great Wall has been one of the favorite things we have done while here in China and we will always look back on the memories and photos of those trips. 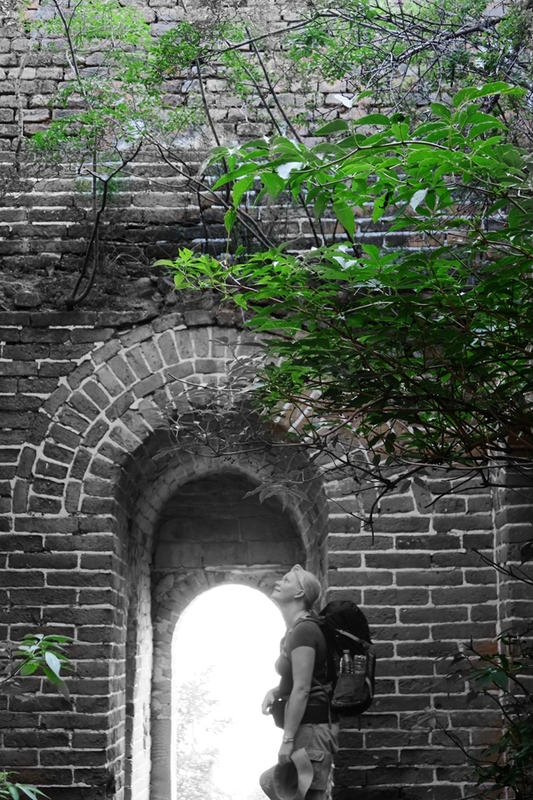 Doing this section of the Jiankuo wall was a fantastic way to finish our last hike before we return to the US in a few weeks - we are so glad we got the chance to go on one last trip with ChinaHiking. We have traveled around China for 2 weeks and this experience was far the BEST! Originally we wanted to participate in another tour (the Boarder defense) but as there were not enough people signed for this tour, we were offered to participate in the Jiankou trip. 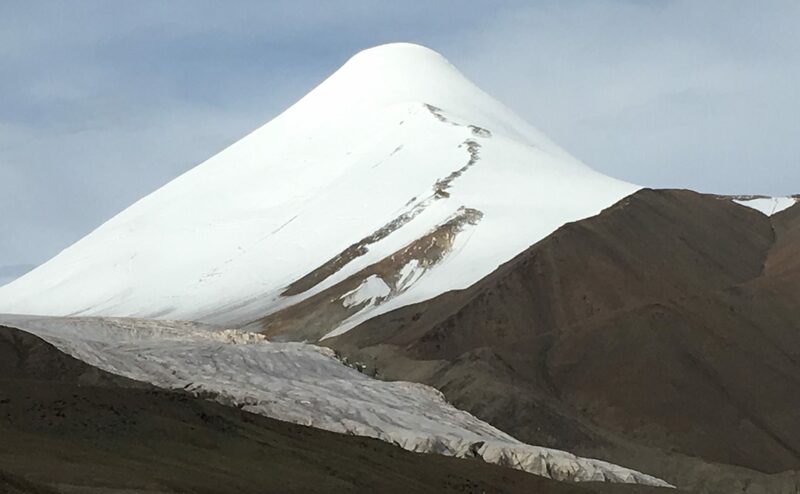 The trip was just amazing, really no other tourists, no one around us during the whole journey - just pure nature! We walked on the top of the wall and slept also on the top of the wall which was an unforgettable experience. Fred and John were amazing guides, very friendly and caring. 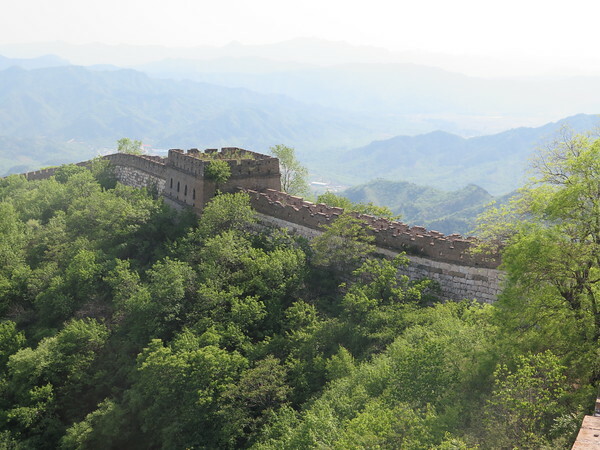 I can just recommend to have this experience if you want to experience the real great wall, with no crowds and other tourists. 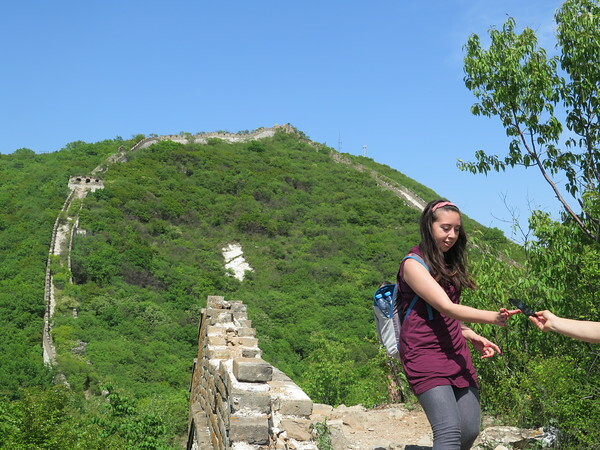 We booked a trip to the Great Wall with Dandelion hiking to round off our holiday to China. I am so glad we did as it was one of the highlights of our trip and a great way to round it off. The organisers were absolutely fantastic and the communication prompt. We weren't sure whether they would have room to store our big backpacks in the van so spent a hilarious 20mins negotiating with left luggage at the train station. When we met up with the group (excellent detailed instructions for meeting place) they were so welcoming and said we could have left our bags in the van - top tip for backpackers out there! The walk itself was fantastic. Well worth the drive to walk the uncrowded parts of the wall. The pace was gentle, though some steep climbs. The views were amazing and Heidi was really patient as we all snapped away with our cameras. I never felt.rushed at all. Absolutely brilliant value for money and I have recommended them to everyone who is considering a trip to Beijing. We were very happy to get a chance to experience the wall with a different perspective. Walking on the Jiankou section was tough but fantastic. We were very lucky with the weather. Nice organisation, nice guides and best setting. Definitely worth the investment.